Long-named Seattle firm Olson Sundberg Kundig Allen Architects (OSKA) announced this week that it will be changing its name to Olson Kundig Architects, effective January 1. The OSKA name has been active since 2000, but with Scott Allen leaving the firm to create an independent design studio, and Kirsten Murray and Alan Maskin becoming partners in 2008, it was apparent that they should reflect the changing tides of leadership. The firm is now led by the five owners; Jim Olson, Tom Kundig, Rick Sundberg, Kirsten Murray and Alan Maskin. Winners of the 2009 AIA Architecture Firm Award (the most recent time we made fun of the firm’s name), the 75 person office is known for dwellings and urban projects that merge modern design with natural sensibility. From Rolling Huts in Mazama, Washington, to interior explorations revealing raw qualities of light and material like the Wing Luke Museum in Seattle. Jim Olson founded the firm in 1960, with a focus on residential architecture and its relationship to site. Sundberg became partner in 1975, expanding the firm’s interest into urban projects. 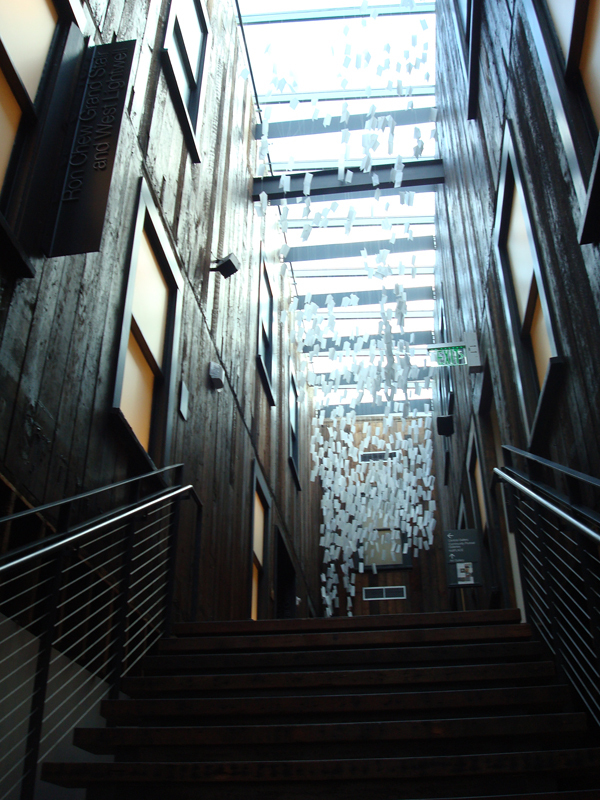 In 1998, Kundig, recognized for his modern dwellings that integrate industrial details, was added as partner. And now— finally—we can say their name all in one breath.